Thinking of getting yourself a second hand car but desire a car with more up to date technology? Well we can help you out with a few suggestions. If you are on a budget but want a car which is able to connect to your iPod, a second hand Ford Fiesta is a good place to start, as any model produced after 2005, should have an auxiliary input built in, usually between the gearstick and the handbrake. Got a bit more to spend? Most Range Rovers of the last 5 or so years have featured pretty decent levels of equipment, they have often included the option of having a rear seat entertainment system also, which helps keep the kids quite, and it was pretty common so it shouldn’t be too hard to buy one used. On the down side, whilst you save money by buying the car used, you should beware of potential servicing costs for such a vehicle. Looking for a good used car which can offer great fuel economy? 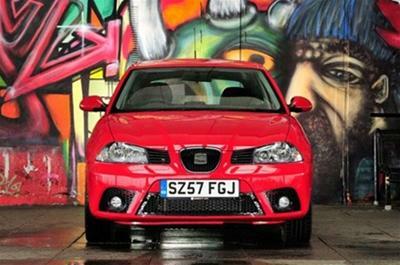 Then buying a used SEAT Ibiza Ecomotive might be a good route to go down. Its 1.4-litre diesel engine can do an incredible 88mpg and the car itself can travel at 100mph. It doesn’t appear to have sacrificed anything to achieve its green credentials and the Ecomotive comes with air-con, CD/tuner, electric front windows and a multifunction steering wheel as standard.